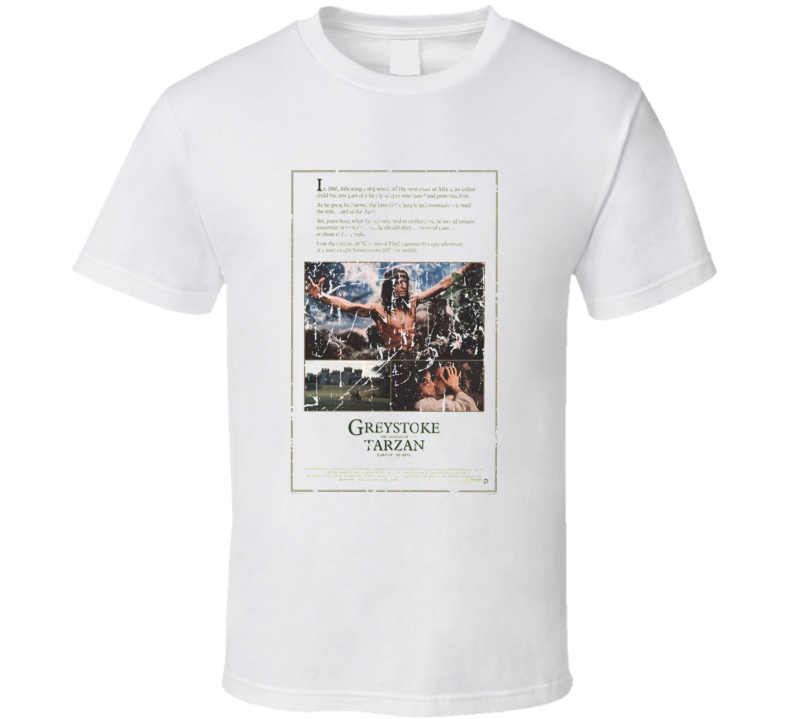 Order your Greystoke The Legend Of Tarzan Lord Of The Apes Movie Poster Retro Aged Look T Shirt today for yourself or a gift for your animal loving friend or family member! 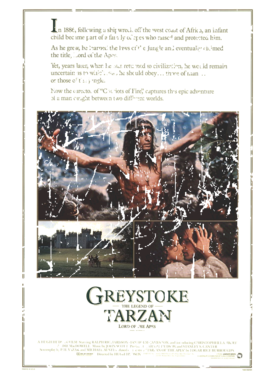 Our Greystoke The Legend Of Tarzan Lord Of The Apes Movie Poster Retro Aged Look T Shirt is custom printed for you on a comfortable, soft, 100% ringspun cotton t shirt. You'll love it!